01. 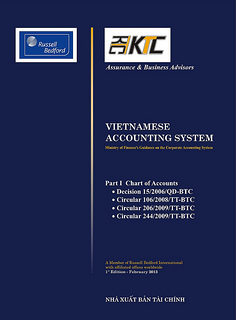 The objective of this standard is to prescribe the accounting policies and procedures in relation to interests in joint ventures, including the forms of joint venture, and venturers' separate financial statements and consolidated financial statements for their bookkeeping and financial reporting purposes. 02. This Standard should be applied in accounting for interests in joint ventures including jointly controlled operations, jointly controlled assets and jointly controlled entities. joint venture contract involvement in the establishment of jointly controlled entities. Control is the power to govern the financial and operating policies of an economic activity relating to interests in joint ventures so as to obtain benefits from it. Joint control is the power to jointly govern the financial and operating policies of an economic activity on a contractual basis. The equity method is a method of accounting and reporting whereby an interest in a jointly controlled entity is initially recorded at cost and adjusted thereafter for the post acquisition change in the venturer's share of net assets of the jointly controlled entity. The income statement reflects the venturer's share of the results of operations of the jointly controlled entity. The cost method is a method of accounting and reporting whereby an interest in a jointly controlled entity is initially recorded at cost and kept unadjusted thereafter for the post acquisition change in the venturer's share of net assets of the jointly controlled entity. The income statement only reflects the venturer's share of the net accumulated profits of the jointly controlled entity arising as from the contribution date. 04. This Standard identifies three broad types of joint venture: business co-operation contract in the form of jointly controlled operation (jointly controlled operations), business cooperation contract in the form of jointly controlled assets (jointly controlled assets) and establishment of jointly controlled entities (jointly controlled entities). 05. The existence of a contractual arrangement distinguishes interests which involve joint control from investments in associates in which the investor has significant influence (see VAS 07, Accounting for Investments in Associates ). Activities which have no contractual arrangement to establish joint control are not joint ventures for the purposes of this VAS. (d) the sharing by the venturers of the output, income, expenses or results of the joint venture. 07. The contractual arrangement establishes joint control over the joint venture. Such a requirement ensures that no single venturer is in a position to control unilaterally the activity. The arrangement identifies those decisions in areas essential to the goals of the joint venture which require the consent of all the venturers and those decisions which may require the consent of a specified majority of the venturers. 08. The contractual arrangement may identify one venturer as the operator or manager of the joint venture. The operator does not control the joint venture but acts within the financial and operating policies which have been agreed by the venturers in accordance with the contractual arrangement and delegated to the operator. If the operator has the power to govern the financial and operating policies of the economic activity, it controls the venture and the venture is a subsidiary of the operator and not a joint venture. 10. An example of a jointly controlled operation is when two or more venturers combine their operations, resources and expertise in order to manufacture, market and distribute jointly a particular product, such as an aircraft. Different parts of the manufacturing process are carried out by each of the venturers. Each venturer bears its own costs and takes a share of the revenue from the sale of the aircraft, such share being determined in accordance with the contractual arrangement. 12. Separate accounting records may not be required for the joint venture itself and financial statements may not be prepared for the joint venture. However, the venturers may prepare management accounts so that they may assess the performance of the joint venture. 13. Some joint ventures involve the joint control, and often the joint ownership, by the venturers of one or more assets contributed to, or acquired for the purpose of, the joint venture and dedicated to the purposes of the joint venture. The assets are used to obtain benefits for the venturers. Each venturer may take a share of the output from the assets and each bears an agreed share of the expenses incurred. 14. These joint ventures do not involve the establishment of a new entity. Each venturer has control over its share of future economic benefits through its share in the jointly controlled asset. 15. Many activities in the oil, gas and mineral extraction industries involve jointly controlled assets; for example, a number of oil production companies may jointly control and operate an oil pipeline. Each venturer uses the pipeline to transport its own product in return for which it bears an agreed proportion of the expenses of operating the pipeline. Another example of a jointly controlled asset is when two enterprises jointly control a property, each taking a share of the rents received and bearing a share of the expenses. (e) any expenses which it has incurred in respect of its interest in the joint venture. (e) any expenses which it has incurred in respect of its interest in the joint venture, for example those related to financing the venturer's interest in the assets and selling its share of the output. 18. The treatment of jointly controlled assets reflects the substance and economic reality and, usually, the legal form of the joint venture. Separate accounting records for the joint venture itself may be limited to those expenses incurred in common by the venturers and ultimately borne by the venturers according to their agreed shares. Management accounts and financial statements may not be prepared for the joint venture, although the venturers may prepare management accounts so that they may assess the performance of the joint venture. 19. A jointly controlled entity is a joint venture which involves the establishment of a new entity in which each venturer has an interest. The entity operates in the same way as other enterprises, except that a contractual arrangement between the venturers establishes joint control over the economic activity of the entity. 20. A jointly controlled entity controls the assets of the joint venture, incurs liabilities and expenses and earns income. It may enter into contracts in its own name and raise finance for the purposes of the joint venture activity. Each venturer is entitled to a share of the results of the jointly controlled entity, although some jointly controlled entities also involve a sharing of the output of the joint venture. (a) when two domestic enterprises combine their activities in a particular line of business by transferring the relevant assets and liabilities into a jointly controlled entity. (b) when an enterprise commences a business in a foreign country in conjunction with an agency in that country, by establishing a separate entity which is jointly controlled by the enterprise and the agency. (c) when a foreign investor commences a business in conjunction with a domestic enterprise, by establishing a separate entity which is jointly controlled by these enterprises. 22. Many jointly controlled entities are similar in substance to those joint ventures referred to as jointly controlled operations or jointly controlled assets. For example, the venturers may transfer a jointly controlled asset, such as an oil pipeline, into a jointly controlled entity, for other reasons. Similarly, the venturers may contribute into a jointly controlled entity assets which will be operated jointly. Some jointly controlled operations also involve the establishment of a jointly controlled entity to deal with particular aspects of the activity, for example, the design, marketing, distribution or after-sales service of the product. 23. A jointly controlled entity maintains its own accounting records in the same way as other enterprises in conformity with the appropriate prevailing law on accounting. 24. Each venturer usually contributes cash or other resources to the jointly controlled entity. These contributions are included in the accounting records of the venturer and recognised in its separate financial statements as an investment in the jointly controlled entity. 25. A venturer should prepare and disclose its interest in a joint venture in its separate financial statements in accordance with the cost method. 26. Where a venturer is to consolidate its financial statements, the venturer should report in its consolidated financial statements its interest in a jointly controlled entity using the equity method. 27. A venturer should discontinue the use of the equity method from the date on which it ceases to have joint control over or clases to maintain significant influence on a jointly controlled entity. (b) an interest in a jointly controlled entity which operates under severe long-term restrictions that significantly impair its ability to transfer funds to the venturer. 29. The use of the equity method is inappropriate when the interest in a jointly controlled entity is acquired and held exclusively with a view to its subsequent disposal in twelve months. It is also inappropriate when the jointly controlled entity operates under severe long-term restrictions which significantly impair its ability to transfer funds to the venturer. 30. From the date on which a jointly controlled entity becomes a subsidiary of a venturer, the venturer accounts for its interest in accordance with VAS 25, Consolidated Financial Statements and Accounting for Investments in Subsidiaries. 31. When a venturer contributes or sells assets to a joint venture, recognition of any portion of a gain or loss from the transaction should reflect the substance of the transaction. Where the venturer has transferred the significant risks and rewards of ownership, the venturer should recognise only that portion of the gain or loss which is attributable to the interests of the other venturers. The venturer should recognise the full amount of any loss when the contribution provides evidence of a reduction in the net realisable value of current assets or the net book value of fixed assets . 32. When a venturer sells assets to a joint venture, recognition of any portion of a gain or loss from the transaction should reflect the substance of the transaction. Where a venturer has transferred the reward of ownership and the assets are retained by the joint venture without selling to an independent third party, the venturer should recognise only that portion of the gain or loss which is attributable to the interests of the other venturers. Where the joint venture resells the assets to an independent third party, the venturer is entitled to recognise that portion of the actual gain or loss which is arise from the sale of asset to Joint Venture. The venturer should recognise the full amount of any loss when the sale provides evidence of a reduction in the net realisable value of current assets or net-book value of fixed assets. 33. When a venturer purchases assets from a joint venture, recognition of any portion of a gain or loss from the transaction should reflect the substance of the transaction. The venturer should not recognise its share of the profits of the joint venture from the transaction until it resells the assets to an independent party. Where the venturer sells the assets to an independent third party, the venturer is entitled to recognise that portion of the actual gain attributable to its interests in the joint venture. A venturer should recognise its share of the losses resulting from these transactions in the same way as profits except that losses should be recognised immediately when they represent a reduction in the net realisable value of current assets or the net-book value of fixed assets. 34. An investor in a joint venture, which does not have joint control, should report its interest in a joint venture in accordance VAS, Financial Instruments: Recognition and Measurement , or, if it has significant influence in the joint venture, in accordance with VAS 07, Accounting for Investments in Associates . (c) those contingent liabilities that arise because the venturer is contingently liable for the liabilities of the other venturers of a joint venture. 37. A venturer should disclose a listing and description of interests in significant joint ventures held in jointly controlled entities. 38. A venturer which does not issue consolidated financial statements, because it does not have subsidiaries, should disclose the information required in paragraphs 35, 36 and 37. It is appropriate that a venturer which does not prepare consolidated financial statements because it does not have subsidiaries provides the same information about its interests in joint ventures as those venturers that have subsidiaries.